It’s in a small ‘L’ shaped strip mall anchored by an empty Vietnamese restaurant, and easy to miss, unless you see all three of the stores in a row. 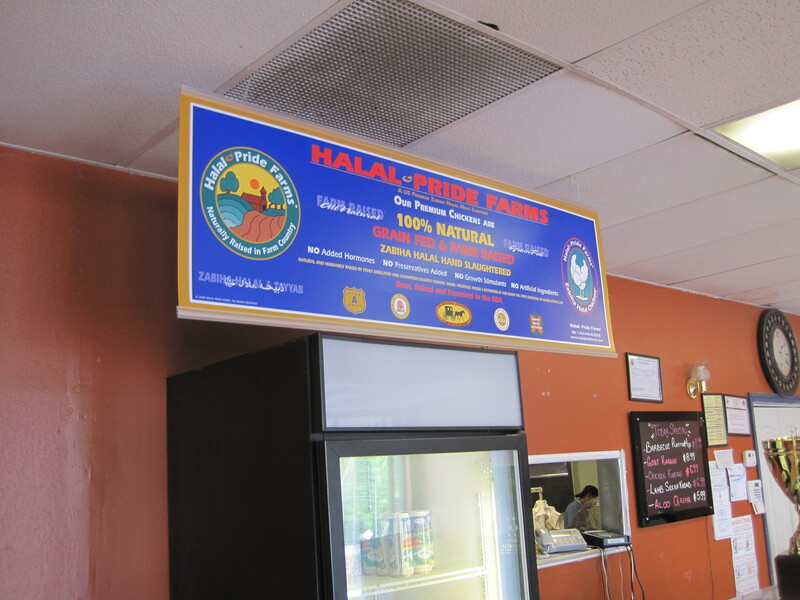 There is Kabab Hut, a store selling the hijab, and a Hilal grocer all side by side. 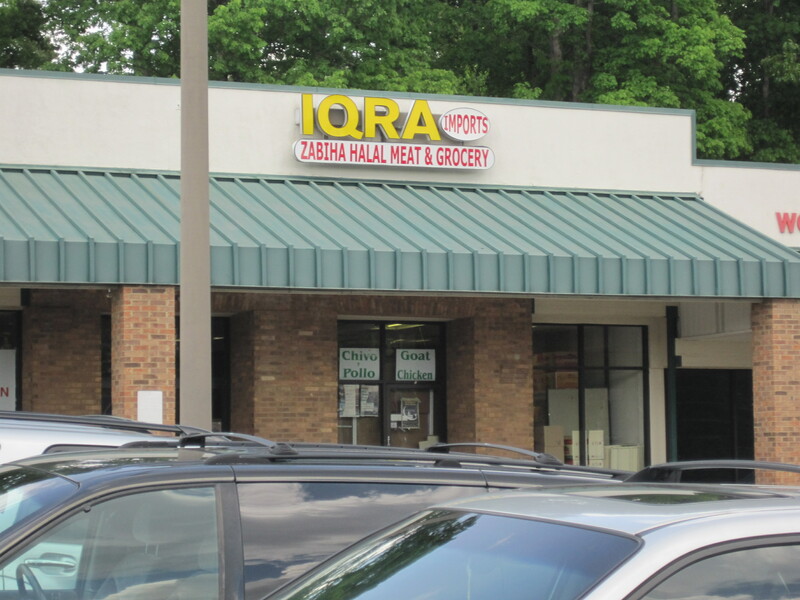 You’re likely to see Iqra Imports first, a neat little grocery that advertises Halal goat and chicken in Spanish and English. 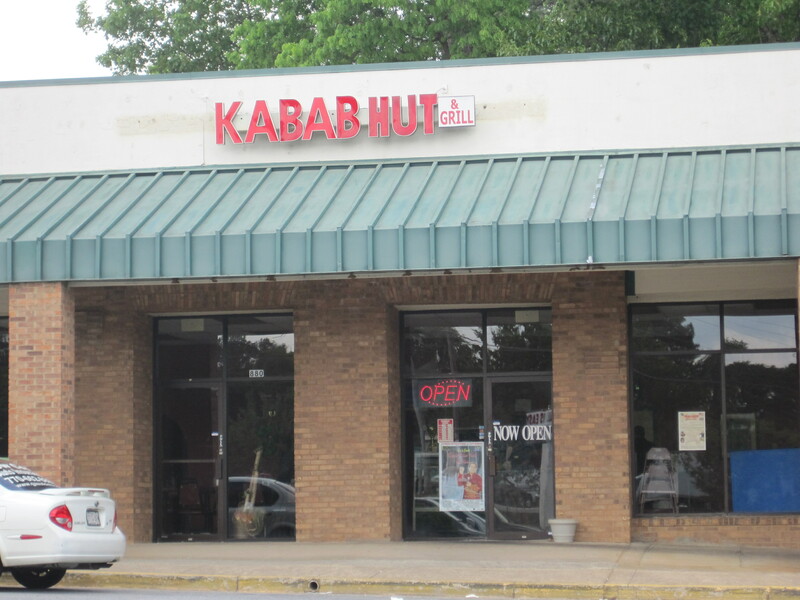 But to the left of Iqra lies Kabab Hut, about as underimpressive an outside structure as you might ever see. Plain? Yes, quite plain from the outside. Inside, it’s much cleaner, neater, respectable. It’s set up much like the “mom n pop” Caribbean restaurants. There is a small refrigerator with cans of drinks. 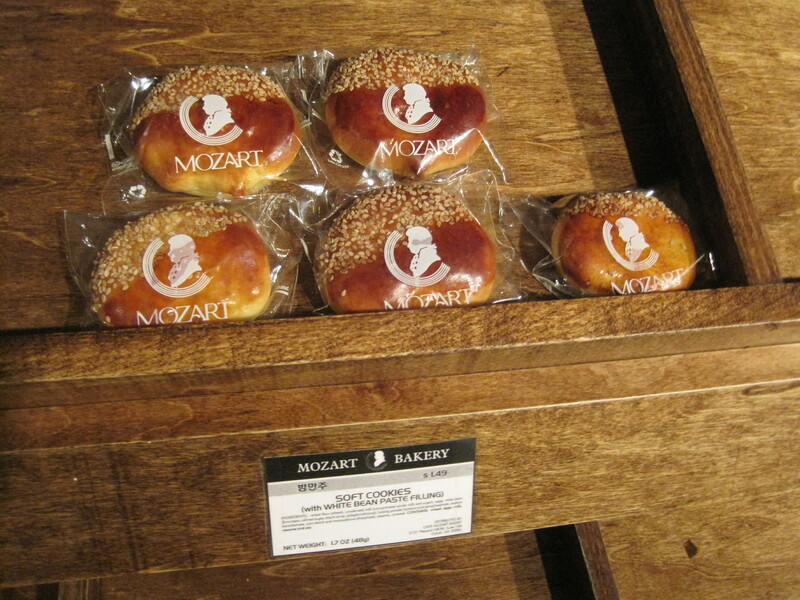 There is a bakery display. 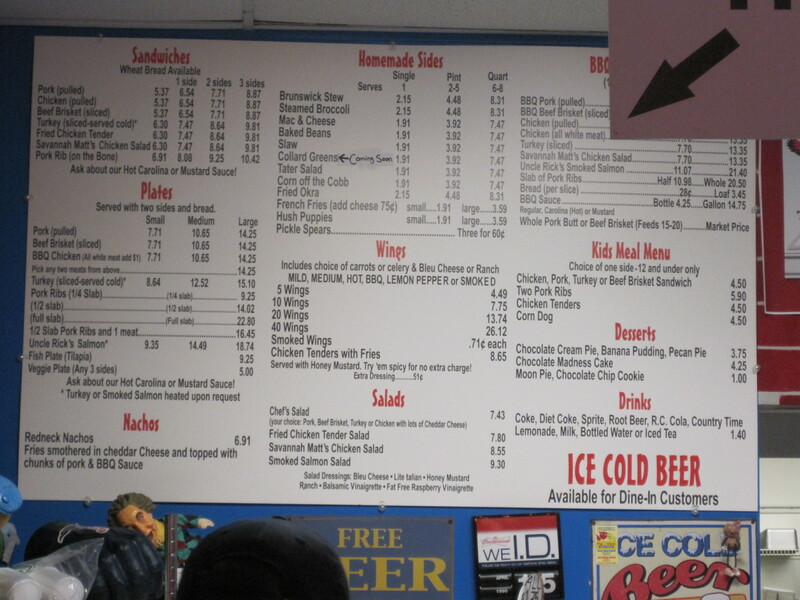 There is a low counter where you order food. There is a square hole behind the counter that peeks into the kitchen. There are tables – good looking ones, mind you – scattered about, with booths edging the eatery, and inexpensive hollow steel framed chairs by the tables. One flat screen television is on the wall, where ads for soft drinks and pretty models are intersperced with political broadcasts where the few English words are things like “colonialism” and “American imperialism”. Hey, I’m sure that’s typical and topical in Pakistan. What’s most important to someone like me is that this isn’t a buffet at lunch, they’re serving hot meals. And since they’re serving food piping hot, you can get things you simply cannot get from a buffet, such as piping hot chicken 65. 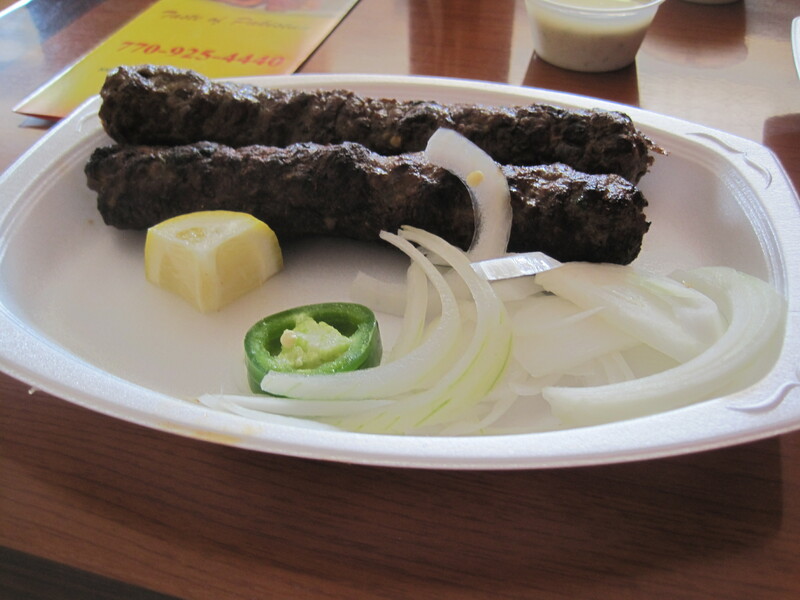 Lamb kababs. 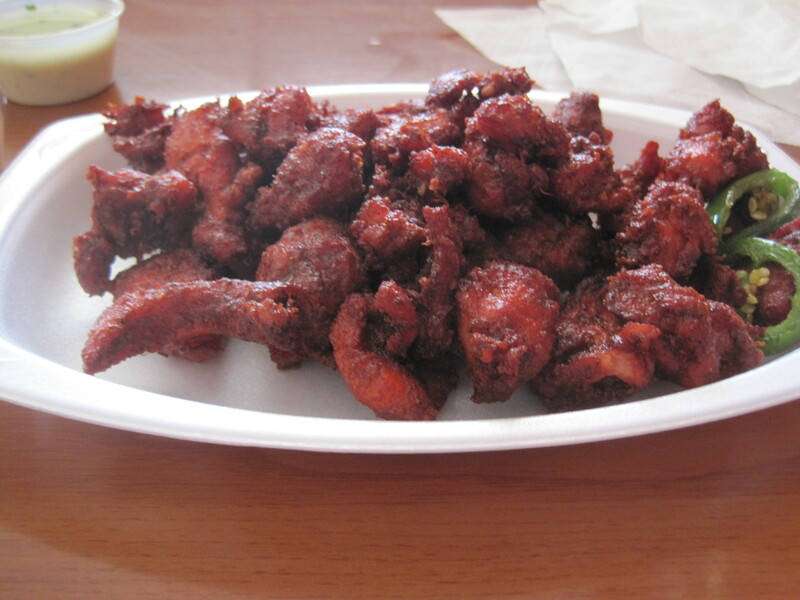 More spice then their chicken 65, actually. A good chicken 65. Like French fries, best when eaten piping hot. I’m convinced the right chicken 65 vendor has a product prepped to go viral, that some aggressive clever entrepreneur, perhaps selling Korean-Mexican-Pakistani fusion food, is going to make it big with chicken 65 packaged like French Fries or perhaps Chicken McNuggets – throw a little sauce on there, make some chicken 65 tacos, put it all in a Twitter enabled van and sell in the right market. It will take off. In the meantime, in order to figure out what I’m talking about, you’ll need to find the little Pakistani “mom n pop”s and look for dishes like these. 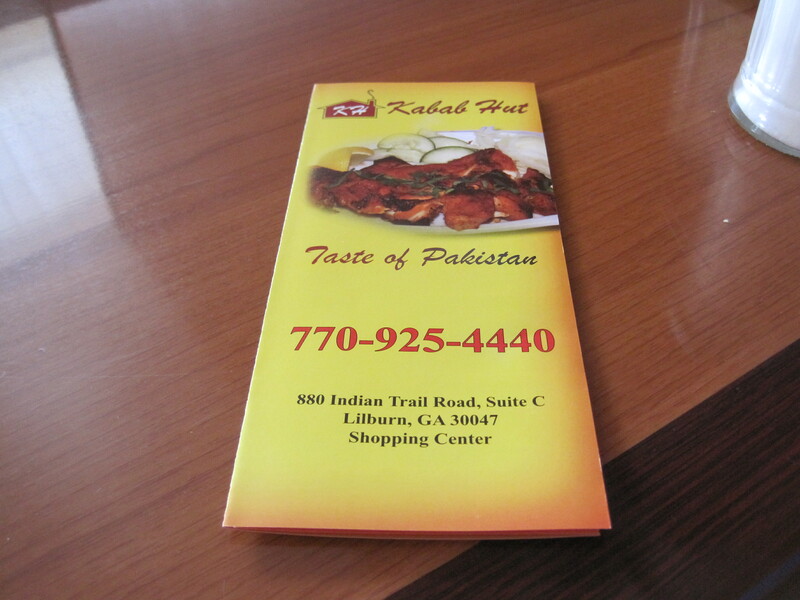 Incidentally, chicken 65 is not what the Kabab Hut is about, it’s more about small traditional Pakistani meats and kababs. They have good looking breads for a dollar or so and the dishes run from $3.99 to maybe 5 or 6 dollars. You can eat like a king here for 10 dollars. The spicing is .. pretty good. It builds. I thought the chicken 65 could have been hotter, but I never want to tempt a South Asian or a Southeast Asian to spice their local spicy. Usually “American spicy” is my perfect heat point. What the food has here is flavor, and a bit of sneaky spice that builds as you eat. I think the average Atlantan could handle these dishes, and I think it isn’t a fraud to those of us who want our foods a little spicier. So try it sometime. There was a crowd here the day I arrived, one that grew larger as I ate. The locals know about this place, despite the appearance, and they’re eating here. No wonder. Good and cheap translates into any language. Not too sweet, a touch of bitter flavors, a fantastic aroma. 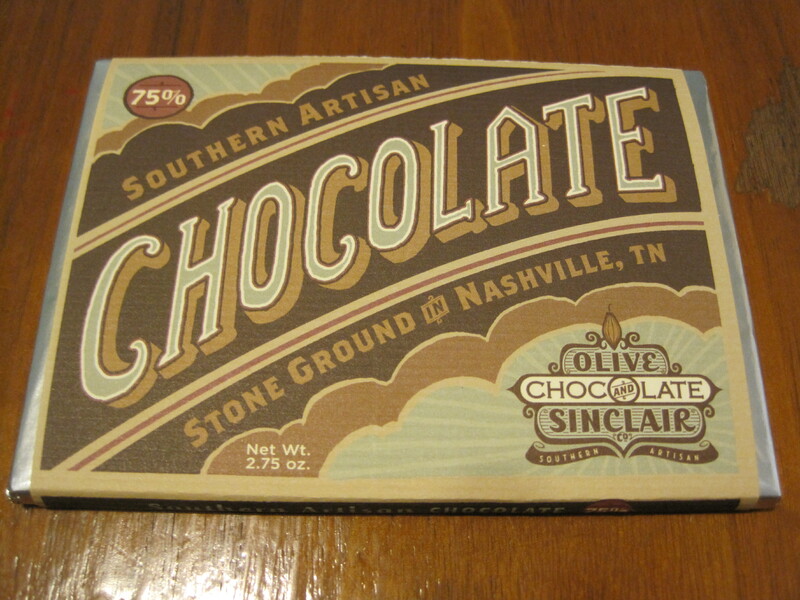 Olive and Sinclair’s Southern Artisan batch made chocolates are a delight. 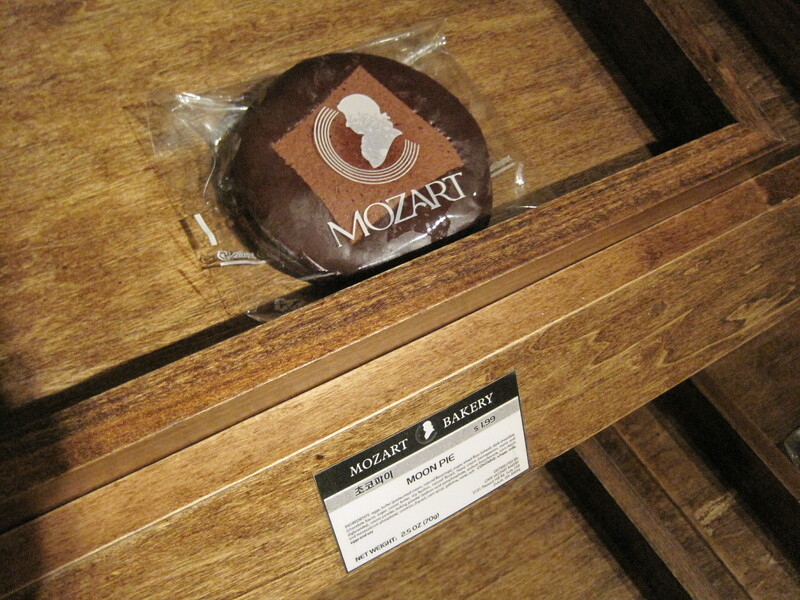 If watching how this chocolate is made appeals to you, a nice little video is on the Olive and Sinclair site. 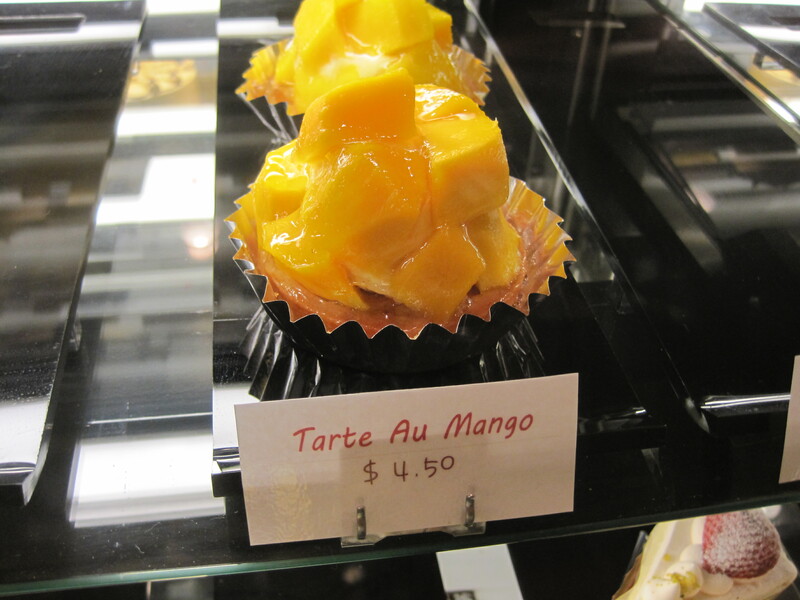 I came here because BuHi tweeted he was here that day. Thankfully the weather was threatening but not so bad I couldn’t reach it. I ended up chatting until he, his son, and his friend left, and then got down to actually eating. It doesn’t show but the pulled pork was by far the best of the meats that I tried. It had a real bark, clear signs of smoking, was about as good as it gets. 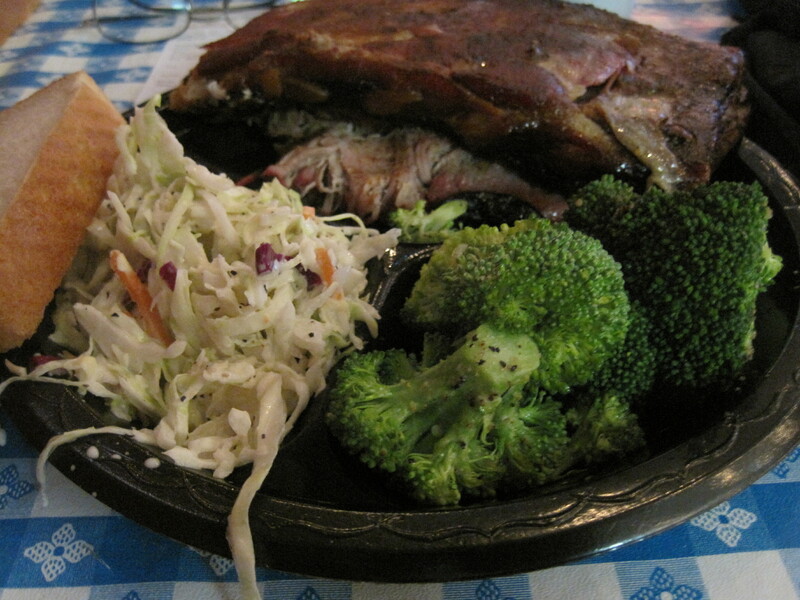 The ribs, by contrast, were smoked, but not smoky enough for my personal tastes. They were, however, exceptionally tender for a smoked meat. 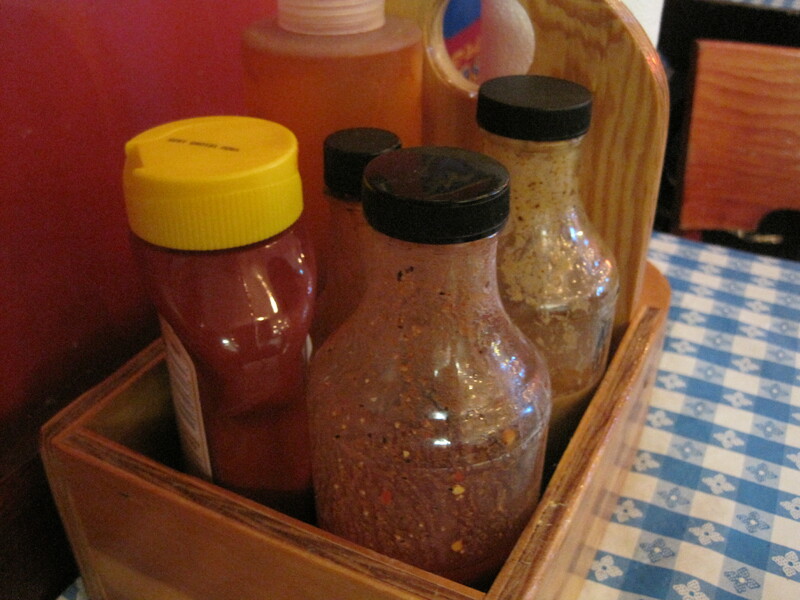 The two sauces I tried were good: the vinegar sauce and the mustard sauce I felt all complimented the meats. If I were to come here again, I’d skip the ribs and load up on the pulled pork. 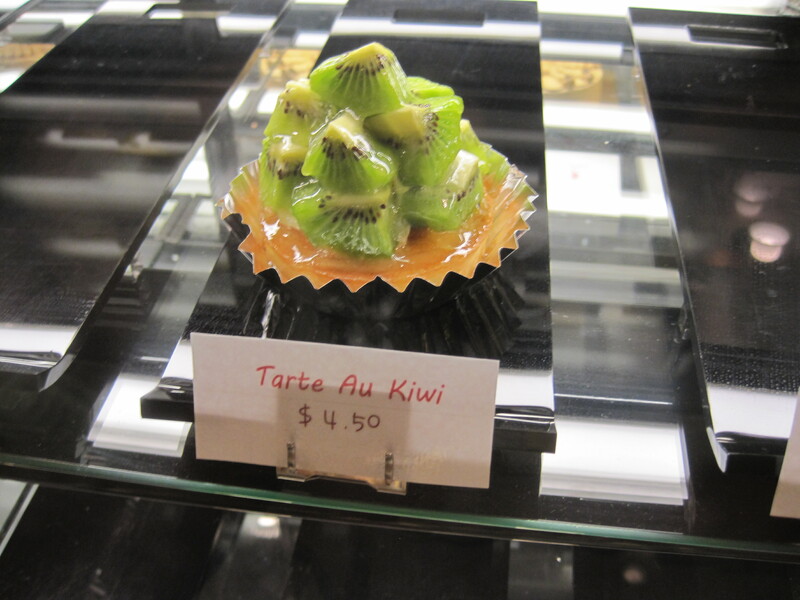 To note, they also smoke salmon here, but the sweet used when smoking it kind of put me off. Still, I’m curious about the product. The Diner is a place we’ve spoken about before. 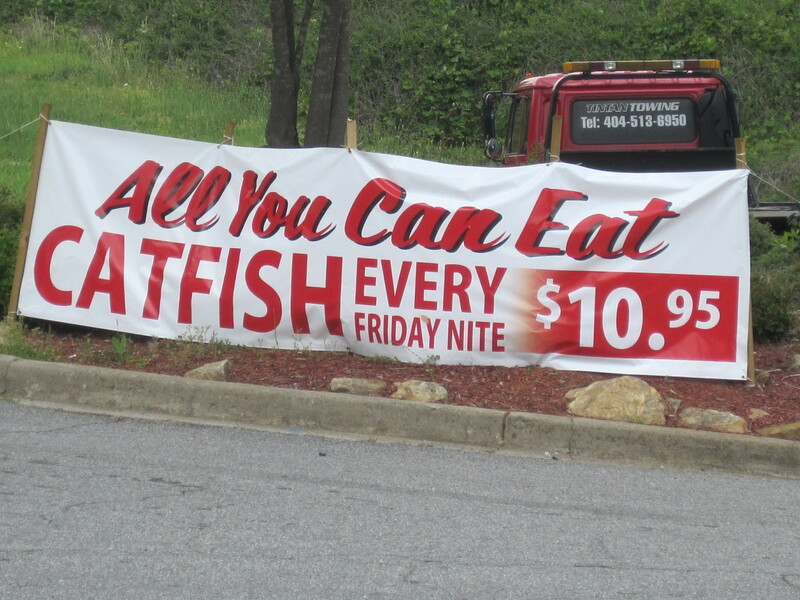 If the sign is correct, they have a catfish special they are running these days. The Diner is pure eye candy if you’ve never been, with a classic US diner style (very unlike the popular Greek-American hybrids in Atlanta). I was getting tires for my wife’s car and was hungry. The tire folks had to fetch tires from their sister shop in Lilburn. Could I wait? 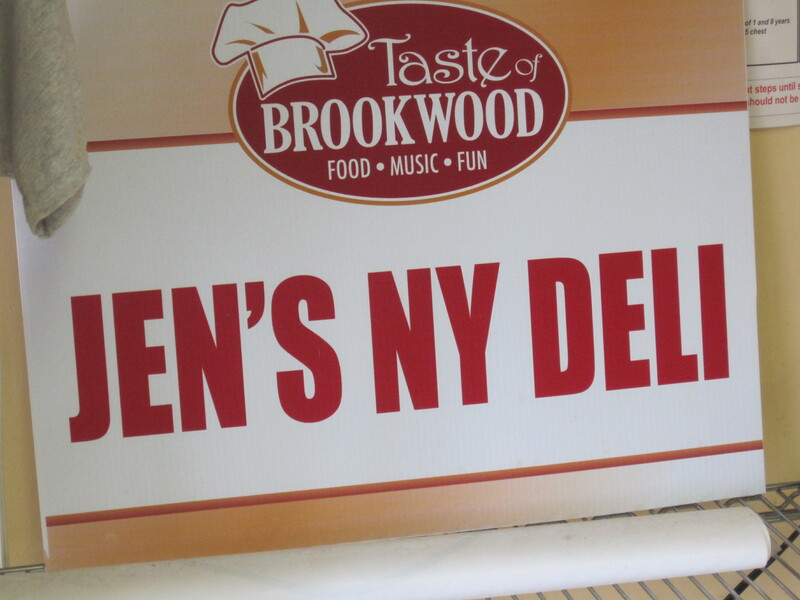 So I walked across the road to Jen’s New York Deli. 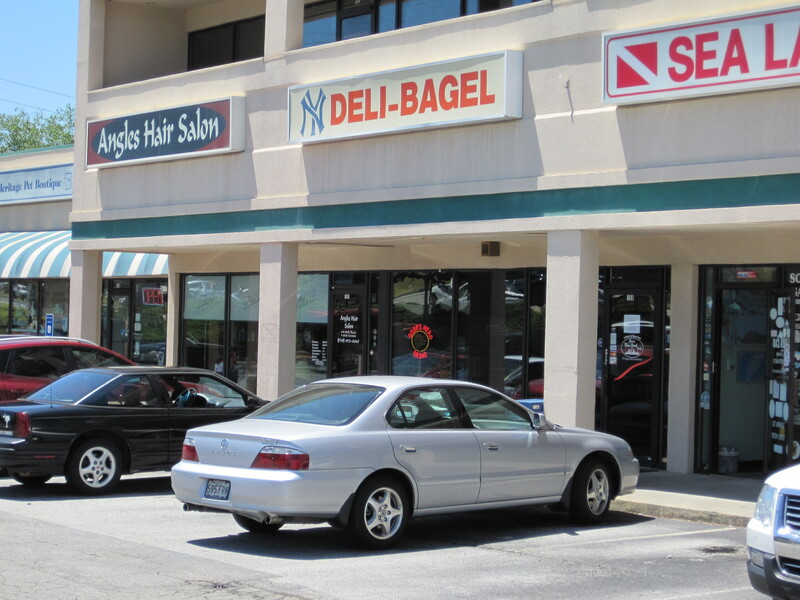 Literally at the crossroads of Five Forks and Oak Road, this small deli survives by word of mouth. 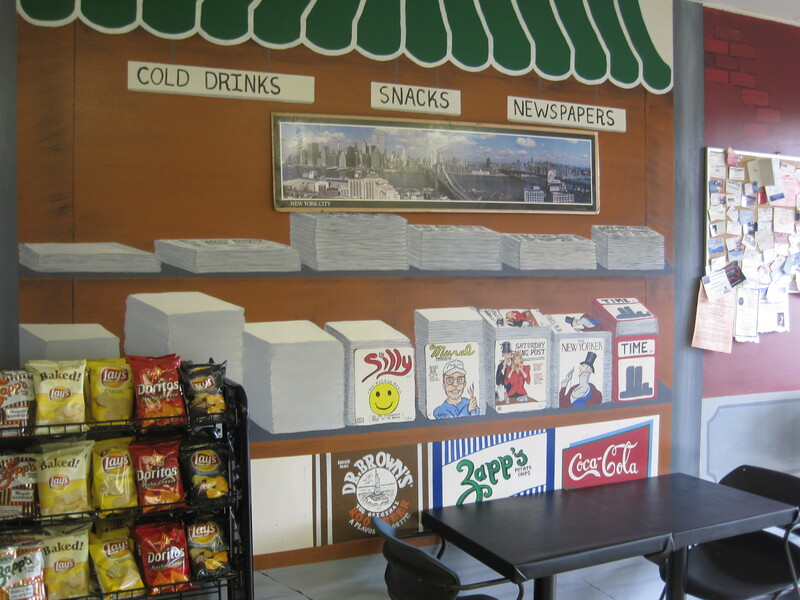 There is also plenty of eye candy inside, murals on the walls. 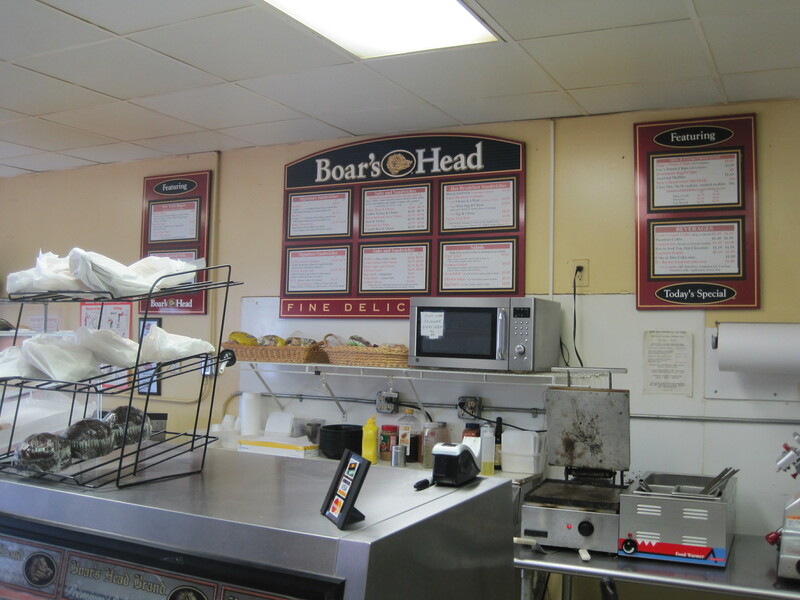 They use Boar’s Head meats, are effectively only open for breakfast and lunch. I had the Rachel, a cousin of the Reuben, but with pastrami instead of corned beef. Quite a nice sandwich, even if you have to gulp it down because the tire folks fetched their tires faster than expected. It also meant I forgot to take a photo of the sandwich. 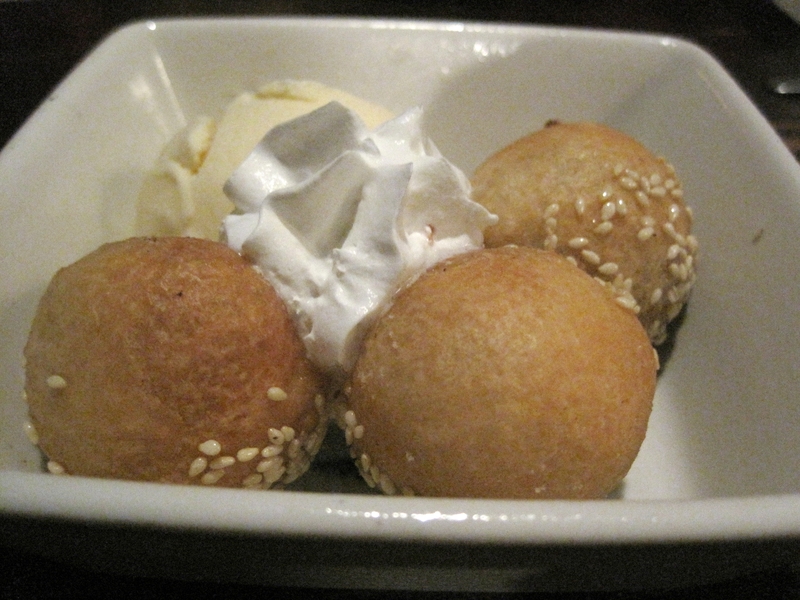 If you want to see a photo of Jen’s food, follow the link.